xtra-med is dedicated to helping healthcare practitioners solve what is considered to be the achilles heel of haemodialysis - vascular access. Through specialising in this area for many years and working closely with our nursing and surgical specialists we have developed our expertise. We understand the issue very well and our mission is to help find resolutions. Our aim is to provide education and bring innovative products to the healthcare practitioners and patients to address vascular access issues. We look forward to providing ideas and products to increase the proportion of patients receiving haemodialysis via an arteriovenous fistula or graft. For us, education and training are more important than advertising. Our growth will be achieved by users benefitting from successful application of our products. We are a small team who want to listen to your views and needs. Contact us so we can listen to you. INTRODUCING - HAEMODIALYSIS 300 L - a truly mobile handheld ultrasound imaging device We have been scanning the globe for over 5 years to find a suitable device and believe that we have now found a solution that meets the needs required to support the vascular access of the haemodialysis units. The 2018 BRS -VASBI clinical practice recommendations recognise that use of ultrasound technology can make needling of difficult AV access more successful and less traumatic for patients and suggest that each unit should consider investment in this technology and training for nursing staff, to implement this practice to support needling of difficult AV access. We have been scanning the globe for over 5 years to find a suitable device and believe that we have now found a solution that meets the needs required to support the vascular access of the haemodialysis units. The 2018 BRS -VASBI clinical practice recommendations recognise that use of ultrasound technology can make needling of difficult AV access more successful and less traumatic for patients and suggest that each unit should consider investment in this technology and training for nursing staff, to implement this practice to support needling of difficult AV access. Buttonhole Fistula Needles: We are pleased to introduce a range of buttonhole needles that now offer many of the features our customers have been requesting from us, Namely: A scab picker will now be packaged with all buttonhole needle configurations, the scab picker design is now slightly larger at the handling end and finer at the working end, the needle lengths reflect only the steel shaft, the needles are packed in inner boxes of 50 and the sterilisation methodology is Gamma radiation. Sharp Fistula Needles with Safety Protector: to introduce a range of safety fistula needles that now offer many of the features our customers have been requesting from us, Namely: A low profile simple to activate protector guard that can be moved out of the way when cannulating and moved up the tubing for a smooth one handed activation. In addition the needle lengths reflect only the steel shaft, the needles are packed in inner boxes of 50 and the sterilisation methodology is Gamma radiation. xtra-med are proud to support the initiative – to join the face book group please click here . xtra-med are pleased to have hosted the first advanced vascular access Study day for 22 nurses in Perth Scotland. 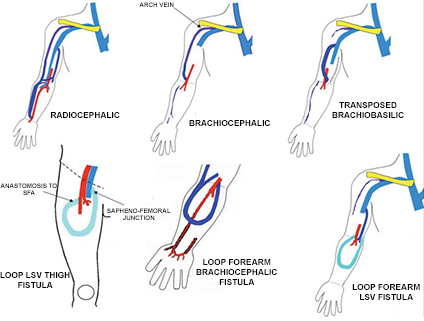 6 areas of clinical practice were identified that had the potential to improve vascular access outcomes, which are being either directly actioned or developed further in established clinical workstreams. xtra-med facilitates training and education through supporting workshops for healthcare professionals. Various practical sessions on use of buttonhole needles, safety needles & plastic fistula cannulae. For more information, or to request a workshop (or mini workshop for a single trust) in your area please contact us. For more reference materials please view our resources section.